I’m not sure what caused it but the spring saw a number of reports being produced by NGOs which looked at future trends. The two I’ve found most useful are ‘Leading Edge 2020‘ by Troicaire and ‘2020 Development Futures‘ by Action Aid. They’re well worth a read as they provide a huge amount of insight into what might be coming on the horizon, much of which could have huge impacts on our advocacy and should also provide a challenge for any organisation that hasn’t spent a little time thinking about how it’ll respond to a changing environment. Alex Evans who, amongst other things is editor of the excellent GlobalDashboard.org, authored the ‘2020 development futures’ paper for Action Aid, in it he makes 10 recommendations for the next 10 years. 1. Be ready for external shocks – A reminder that external shocks are often the key driver of change, reflecting on the quote from Friedman that ‘Only a crisis – actual or perceived – produces real change. When that crisis occurs, the actions that are taken depend on the ideas that are lying around‘. Evans suggests that ‘Civil society organisations should put aside a substantial proportion of their policy and advocacy to roll them out rapidly when ten times as much political space opens up overnight, for three weeks only‘. 2. Putting members in charge – arguing that we’ve traditionally built our engagement on largely passive engagement of members who have responded by signing a postcard or donating money. Evans argues that CSOs need to ‘put their members in charge as far as possible using technology platforms to ask them regularly what to campaign on, where, how to do it, and how they want to be involved’. 3. Specialise in coalitions – but not simply civil society organisations, suggesting that power is going to become more diffuse and that it’ll be going to bloggers, citizens, NGOs, businesses and beyond. The effective civil society organisations will need to be the catalysts to create shared platforms and the glue to keep them together. Practically, Evans suggests that coalitions will need to be more diverse and will need staff within CSOs who have experience outside the civil society sector who can act as ‘translators’ in bring these diverse coalitions together. 4. Expect failure – Which is linked to being ready for external shocks, but also recognising that CSOs will also expect to find their own operations under stress. 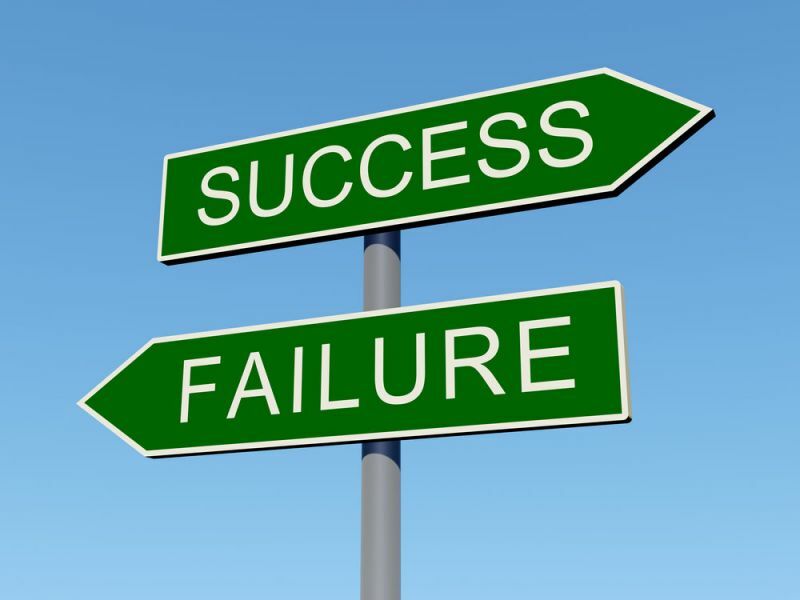 I’ve written before about how we shouldn’t see failure as a bad thing as long as we learn from it. 5. Be storytellers – suggesting ‘if diverse coalitions are key to effecting political change, it is narratives, and compelling visions of the future, that can animate networks and coalitions over the long-term‘ and calling on CSOs to be storytellers about the future. If you’re inspired to spend some time thinking about how future trends might impact your work, here are some ideas to get you started. Have a read of NCVOs ‘Making Sense of the External Environment‘ booklet. Gather together some colleagues and spend 30 minutes trying to draw together PEST or PESTLE analysis on the trends that might affect campaigning in the coming years – both are simple tools that allow you to gather your thoughts on what might be happening in key areas. Based on your PEST chart, ask yourself what will campaigning look like in 2020. Identify different scenarios and consider how your campaign might adapt. Look at NCVO Future Focus booklet which asks what will campaigning look like in 5 years time. Come up with a list of up to 5 practical things you’re going to do to respond. I’ve found it’s easy to spend lots of time thinking about future trends but organisations often struggle to start to act on them. Do you agree with the recommendations that Evans makes? How do you go about reflecting on future trends? I spent some time with some colleagues last week talking about future trends in campaigning. As part of it, I was asked to share the four things most exciting things happening in campaigning at the moment. Here’s my list, what would you include? Change.org – Combining e-activism and crowd sourcing, change.org seems to have hit upon a great campaigning tool. Although it’s not had a big launch in the UK yet, it did manage to generate two significant actions to Home Office in the last 12 months. Change combines a platform to allow individuals to come up with their own campaign actions and a mechanism to push those out to a wider audience, including media and organising support. I really like the way that they’re putting the campaigning tools in the hands of individuals who are interested in running campaigns and the creativity of some of the actions that are being generated. Lots of campaigning organisations could learn from the approach that change.org is taking. Gates Foundation – I’m not only excited by the recognition from the Gates Foundation that they need to be engaging in advocacy, and the clear theory of change they have which is to invest in research and analysis in the south, initiate a debate in the media and support public mobilisation. I’m excited at the potential of other Foundation following them and providing a much-needed funding stream for advocacy. I also think we should be thankful for the work that these Foundations have been doing to help us measure to monitor and evaluate the impact of advocacy. 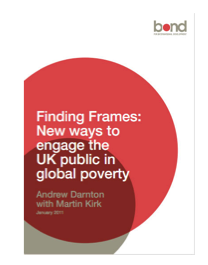 Finding Frames – Because it’s helped to spark a conversation about the language that we need to be using to win our campaigns and helping the sector to engage in the literature about frames and values. It’s sister report, Common Cause was the most recommended item of summer reading, it’s a great introduction to lots of fascinating and vital literature. Citizens UK – Community organising seems to be making a (much-needed) comeback and this has been spearheaded by the work of London Citizens. It’s engaging a new set of activists, empowering communities that haven’t been engaged in campaigning before and having real success in changing policy. They’re reminding others that campaigning is about community, identity and empowerment. What would you include in your top 4 and why? I really enjoyed my time in the US last week, it was great to spend time with some inspiring advocates and get an insight into the campaigning landscape in the US. Clearly the US is a very big country and I was only able to visit Washington and New York (a little like just spending time in London and Brussels if you visited Europe) so these are just a few advocacy related observations from my time in those cities. 1. Advertising everywhere. 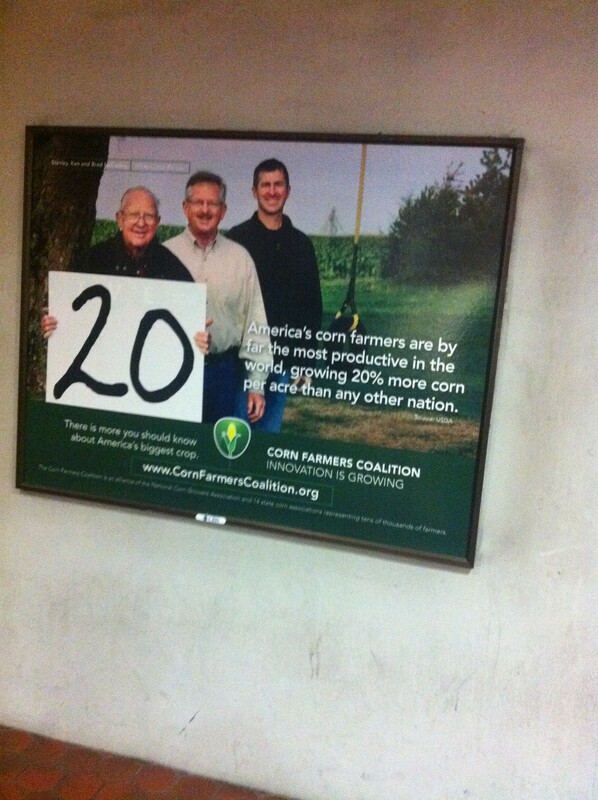 On the Metro (see photo below supporting Corn Growers), in front yards and in the papers I was amazed at the amount of advertising in support of different public policy positions. It seems that a combinations of campaigns with deep financial pockets and media laws that make it easier for campaigning organisations to advertise have made this an attractive tactic to use. I’d be interested to see some figures on the effectiveness of this as a tactic, my concern would be that it risks becoming ‘background noise’ because it’s used so much. 2. The strength of community organising. I got to learn about some amazing examples of community organising on the issue of Environmental Justice at a conference in New York. Organisations like New York Faith and Justice or UPROSE are doing some amazing grassroots work, mobilising communities often in economically disadvantaged areas and seeing campaign success with local government, for example getting the City Council in New York to clean up disused industrial areas. It felt to me that their was a far more vibrant community of grassroots organisations than we have here making use of all the layers of government (city, district, state and federal level) that exist in the US in a far more effective way than I’ve observed in the UK. 3. QR Codes While you occasionally see these funny black and white patterns, which can be used in conjunction with a smart-phone to send you to a website for more information, in magazines in the UK they were a lot more prevalent in the US. With the growing use of smart-phones I can see how they could be used as an excellent tool in campaign literature to help bridge the digital/paper divide. I suspect we’ll see campaigning organisations use them soon. 4. How healthy are the grasstops? I heard this phrase the ‘Grasstops’ used on a number of occasions, it’s used to describe those organisations that are just involved in lobbying and influencing in DC or towards other legislators but don’t have any support from a membership base (the grassroots). It appears to be a fastly with hundred of organisations with names that include ‘Institute‘, ‘Centres for….‘ or ‘Association of‘ in them. Walking around DC you quickly spot people with badges representing them of to meet with politicians and officials, but my question is where these groups draw their legitimacy from, even when they’re advocating for more ‘progressive’ causes. It appears to me that some of the most exciting advocacy networks are those that have been able to combine effective ‘grasstops’ engagement with support from an active ‘grassroots’. One that impressed me considerably was Bread for the World, a faith-based movement to end hunger. 5. The influence of Foundations. I’ve blogged on a number of papers on various topics coming out of various US Foundations in the last week. It’s very evident that they’re powerful financial backers of many of the campaigns and from that they are producing lots of interesting and exciting research on issues such as M+E and assessing impact (this is an interesting study on just that). I need to do more research to find the key foundations and networks, but it’s worth keeping an eye on the website of organisations like New Organising Institute, Institute for Sustainable Communities and others who are putting out some great materials. Have you been to the US recently or are you based in the US? What are your observations on the advocacy scene in the States?